Some people enjoy staying at hotels while others prefer hostels. There are also those who are looking for something completely different. The ones that are looking for something more private, peaceful, where instead of other tourists they can find locals and more individual approach. For all of the enthusiasts of such solutions and for those who prefer local experience instead of the one from hotels we have an interesting proposal! 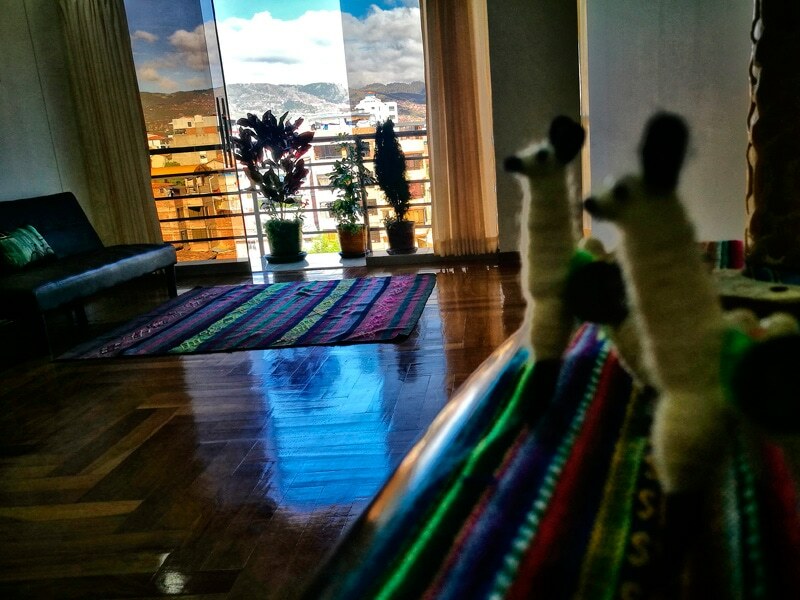 We offer two comfortable rooms in Cusco for rent. Does it sound interesting to you? Check the details below. Cusco is a beautiful city with an enormous number of attractions to offer and tremendous possibilities both for more and less active tourists. Those who come in here usually regret leaving this fabulous, ancient incarnation of the capital. Rarely, they can truly feel the local side of the city and visit the less touristy spots. To give an alternative to anyone who seek for local experience, we start our new project: renting rooms – overnight, for two days, for a week or a month. We have two double rooms with one bathroom. In addition, every guest can use a shared toilet, living room and a kitchen. What is so special about our flat? There exist no such a thing as fixed check-in and check-out. Whenever you need to leave the flat later in the evening, you can freely do so and will never be charged additionally. If you enjoy cooking and would like to test the Peruvian ingredients on your own, we offer the place to do so! You can prepare something with us, or completely on your own. The kitchen is equipped with all the necessary utensils. Due to the fact, that we live in Cusco around 4 years, we know the city inside out. We can provide you with lots of invaluable information about which things are worth visiting and which are better to avoid. We treat every guest as part of our family. We would love everybody to feel comfortable and enjoy his or her stay to the fullest. We warmly invite you to discover the city of Cusco like a local!